Kashiwazaki Yui (Sawajiri Erika) had her 3-year-old son kidnapped from her on a usual day home from kindergarten. Her husband Yoichi (Fujiki Naohito), a university associate professor researching artificial intelligence, ended up withdrawing from the world after the incident. Nine years later, their son shows up and Yui tries to bury the void of the past nine years and be a mother to this 13-year old. Can a family that broke down once become whole again? 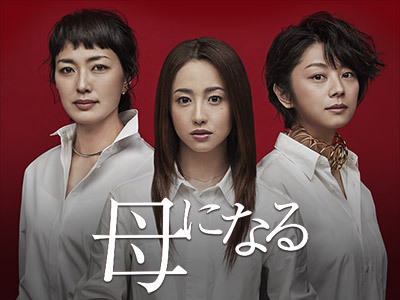 The ONLY reason to watch this is Eiko Koike, she was very good. However, her character doesn't have a lot to do until episode 6. On the other hand, Sawajiri should stick to CM's and R-rated movies, anything that doesn't require a lot of acting ability.